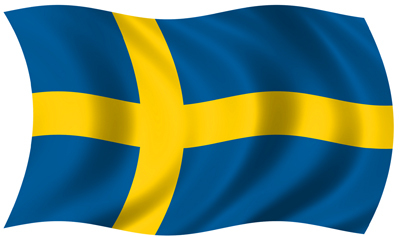 Sweden has made a decisive shift way into regulating poker industry in recent years. While local poker players benefit from a great freedom of bets, the country remains fairly strict in terms of taxation. Since 2012, Skatteverket, the Swedens tax authority, has been actively working on chasing poker players who hide their cash games or live poker tournament earnings. As a reminder, players who wager on regulated poker rooms possessing licenses approved by the European Union are not taxed on their winnings; however, those who gamble on non-EU licensed poker sites are required to report their earnings and pay regular taxes. To track down this second class of players, the Skatteverket has cooperated with other Swedish authorities and a panel of tax havens. The cooperation has been a great success: about 50 players were identified and  27.5 million of undeclared poker winnings, unveiled. Sweden tax agencys Dag Hardyson said in a statement that the real names of online poker players, most of whom are professional players, are all now fully identified. Paralleling the cooperation with tax havens, the Swedish authorities have also conducted other investigations through poker forums and online poker databases to track down alleged players who play the fool with the Skatterverket. Once found, those players will have to pay taxes and fines for millions of Swedish Kronor. For this not to happen, it is wise for Sweden-base poker lovers to only gamble on sites licensed in Sweden and the EU.